We bring our members cheap flights to amazing destinations around the world. Join over 1 million savvy travellers, saving an average of £402 per ticket booked! 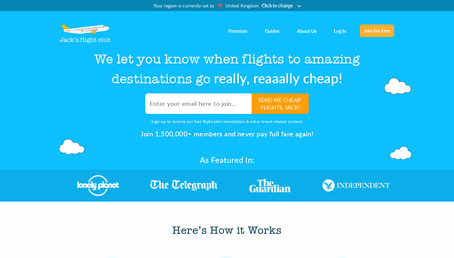 Join and get really cheap flights alerts emailed to you! Get the yearly Premium Membership only for £35!